Every new iPhone comes with at least one signature feature, something no other iPhone has. In many cases, that hardware and/or software feature is not yet available on competing devices. The iPhone X has two such features. While both of them are already available over on Android to some degree, one of them reaches far beyond anything the industry has ever seen before. A new report suggests that Samsung’s upcoming new Galaxy S9 could be the first Android flagship phone to copy the iPhone X’s best feature. Obviously. It’s no secret that Samsung is a fast follower in the mobile business. Sure, the Galaxy S8 came with an all-screen before the iPhone X was even announced. But the all-screen iPhone has been in development for years, and Samsung Display is a key partner. It’s very likely Samsung has known for a long while that an all-screen iPhone was in the works for 2017, since Samsung display is the sole supplier of the iPhone X’s OLED screens. Why do you think that Apple is afraid Samsung will steal its foldable iPhone design? 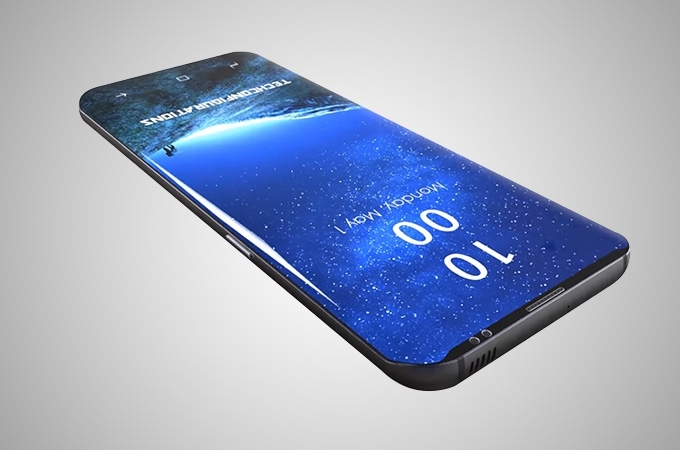 But that doesn’t mean the Galaxy S9 Plus will necessarily copy the iPhone X’s notch design next year. What Samsung might do, according to a tipster with a solid track record, is copy the actual contents of the notch. Apple calls the notch a “tiny space” at the top of the iPhone X. In it, there’s basically a miniaturized Kinect that can scan faces in 3D, providing secure logins that can’t be hacked with a picture. That’s not something Samsung can say about its existing facial recognition features inside the Galaxy S8 Plus and Galaxy Note 8.